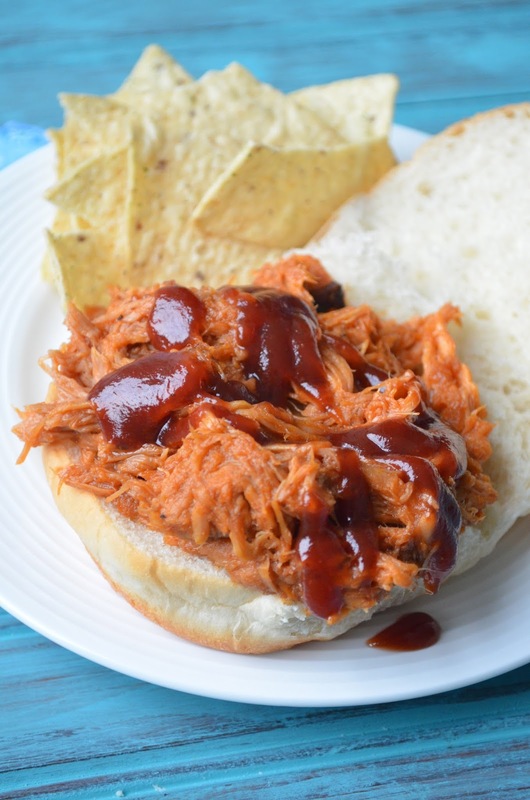 This is my go-to pulled pork recipe and every time I make it, it's a huge hit. If something is a huge hit and it takes pretty much no effort, that's even better. You just let the pork sit most of the day in a slow cooker, and by the time you know it, it's ready to be shredded! Talk about easy. The shredding is probably the most daunting part of the whole thing. It's not even hard, just tedious. Make sure the pork cools a little before you start shredding it apart because you might burn yourself (trust me and my poor blistered hands). I served this on potato rolls, but I won't judge if you pile it up on plain white bread or a hot dog bun. We've all been there before. You can even top it off with some cole slaw for some crunch and a cold contrast to the hot pork. Sometimes I make my own BBQ sauce, but if I don't have time I typically use a brand that has a little kick to it. There's no wrong way, though...just use your favorite. This is sure to be a crowd pleaser! Place sliced onion in the bottom of your slow cooker. Place pork directly on top, fat side up. Season with salt and pepper. In a separate bowl, mix a couple tablespoons of the bbq sauce in with the 2 cups of water until dissolved. Pour directly on top of pork. Continue adding water until the slow cooker is filled 2/3 of the way. Cook on high for 4-5 hours or low for 7-8 hours. Remove pork from slow cooker and place on baking sheet. Throw out excess water and onions. Allow to cool slightly. Using two forks, gently shred the pork, discarding fat. Put the shredded pork back in the slow cooker and add the rest of the bbq sauce. Cook on high for an additional 30-60 minutes, stirring frequently. Serve on buns.